Americans were not set up for success in recycling plastics. Even before China stopped accepting plastic refuse from abroad, 91 percent of potentially recyclable plastic in the U.S. ended up in landfills – or worse, in the oceans. Europe does a little better, with only 70 percent getting tossed. In a paper published last week in Science Advances, she and her colleagues calculated that between now and 2030, 111 million metric tons of potentially recyclable plastic will be diverted from Chinese plants into landfills. Jambeck said that China used to turn a profit by importing the stuff from American and European recycling bins and turning it into useful material. But as other countries attempted to simplify things for consumers with “single stream” recycling—think of one big blue bin for paper, plastic, metal a, d glass—the material reaching China became too contaminated with nonrecyclable items. The instructions to put everything in one bin seemed appealing but made it much easier to do recycling wrong. 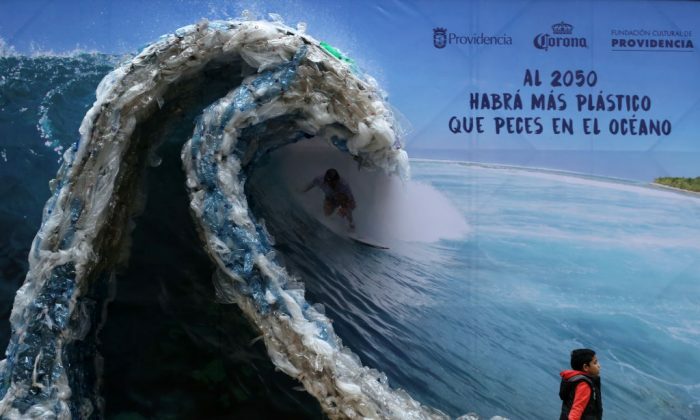 A study Jambeck led in 2015 calculated that about 8 million metric tons of plastic garbage is added to our already polluted oceans each year, killing seabirds, turtles, marine mammals and other creatures. Some breaks down into particles that infuse the fish and shellfish people eat. This very morning I finally found out how to treat a milk carton with a plastic spout. What about film-protected take-out coffee cups? Toothpaste tubes? Only after your message did I pay any attention to the Wikipedia article on resin codes – and I, like you, am a science and technology writer! Yes, trash has become complicated, with products that used to come in cans now in combinations of cardboard and plastic. And then there’s the brain-draining complexity of yogurt tubs – one of the items, along with dirty take-out containers, that The New York Times said Americans are recycling incorrectly. I put on my reading glasses and studied a carton of Greek yogurt. I discovered all sorts of mysterious symbols, which may have something to do with the lack of GMOs or gluten. There were explicit instructions not to put this product in your freezer, which I might have guessed to be the case, but not much help with the container disposal. A tiny, barely perceptible resin code was stamped on the bottom. It was a 5, I think, which means it’s polypropylene and is accepted as recyclable in some communities and not others. While there ought to be a fine for the carcasses and Christmas lights, for the most part, the answer to contaminated recycling streams is not to keep berating consumers over getting Resin Code 5 wrong, but to commit to advancing clean plastic technology. Even if consumer participation in recycling were 100 percent, we wouldn’t be close to recycling 100 percent of the material, said chemical engineer Megan Robertson, who co-wrote a piece in Science last November on the future of plastics recycling. Much consumer waste is simply not recyclable, often because it combines materials. Another problem is that nearly all current “recyclable” plastics can’t go back into packaging but get a second life as a handbag or lawn chair before settling into landfills as their final resting place. They’re not really recycled so much as “downcycled.” The other author of the Science paper, Jamie Garcia of IBM Research, has invented a new kind of plastic, which can be recycled back into the same kinds of containers hundreds of times. Adopting such a material would require a new approach at recycling facilities, and in the short term could cost more.